Boardwalks, lily ponds, bird hide stations, mudflats, a butterfly garden! 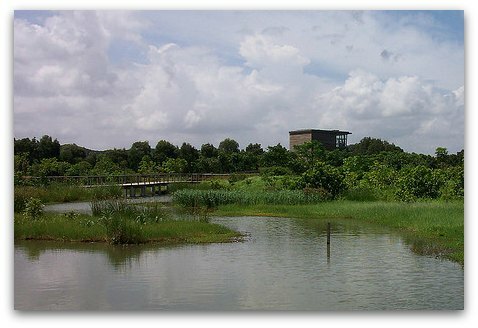 Hong Kong Wetland Park is the territory's prized ecotourism facility dedicated to the education and conservation of the island's diverse wetland ecosystems in a fantastic array of boardwalks, lily ponds, bird hide stations, mudflats, fish ponds, mangroves, a beautiful butterfly garden and an informative visitor center. 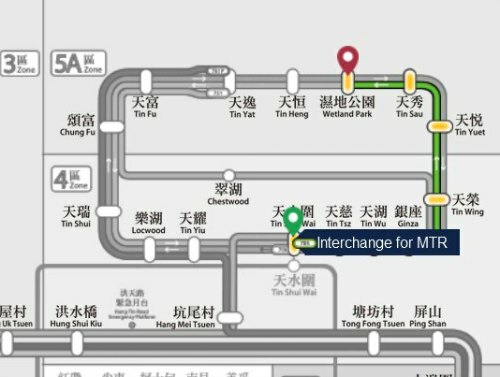 Although a bit out of the way in the New Territories, the park can be easily reached with public transportation and is open year-round. A visit to the park can be done in a half-day, and is a great way to spend some time outdoors enjoying a bit of nature and the surrounding area away from the main tourist spots. 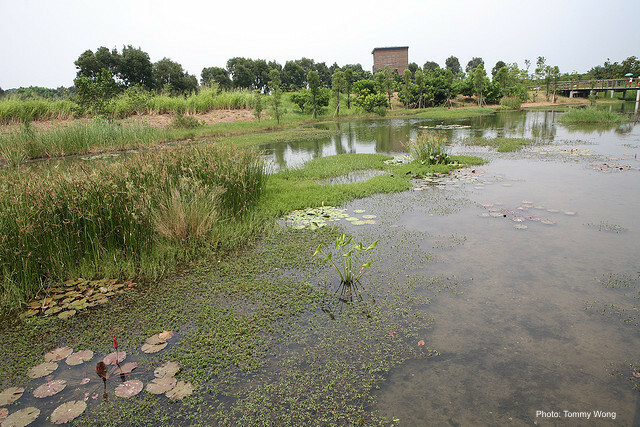 Unlike the Mai Po Nature Reserve nearby, visitors to Wetland Park do not require special permits or pre-registration. 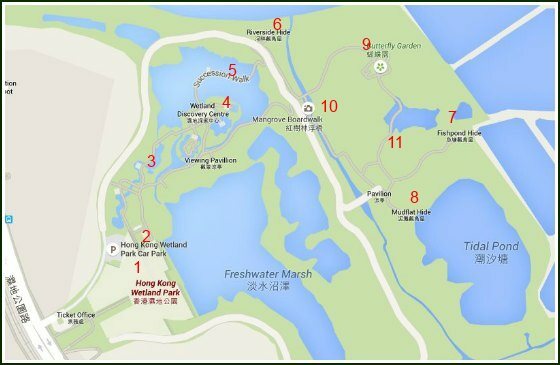 This park is great for children and popular for school trips, thus tends to get a lot more crowded than the Mai Po Reserve where visitor numbers are limited daily. 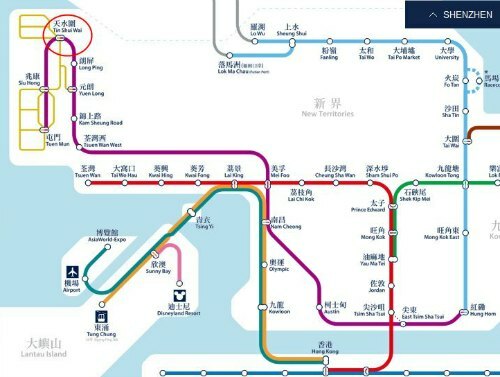 The visitor facilities are top notch with restrooms, water fountains and even a Cafe de Coral for a quick bite or refreshments (Hong Kong's fastfood version of McDonald's) and there are also convenient facilities for visitors with mobility issues/wheelchairs. 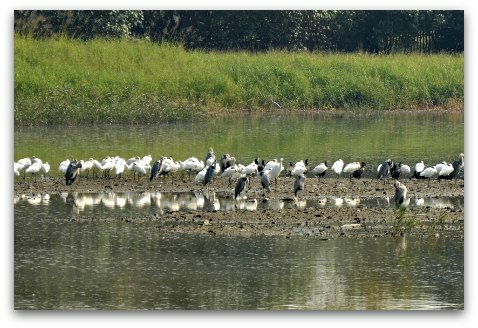 Although the park can be visited year-round, if you are a bird lover the time to visit is in the autumn/winter when the migratory birds are back and the wading ponds and the mudflats are teeming with life. There are a number of boardwalks and paths that snake around the park and will take you over ponds, streams and mangroves and lead to the hides and observation points where wildlife congregates. 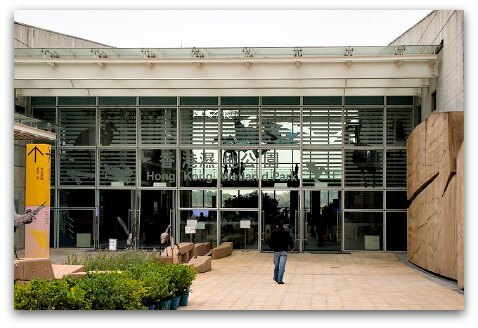 (1) The Main Visitor Centre at the entrance of the Park is your starting point. Here you find the first gallery with a fantastic view of the fresh water marshes just in front of the building. 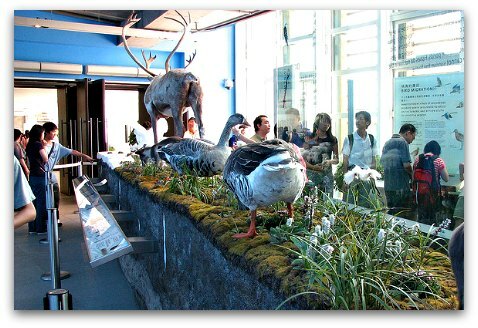 At the Visitor Centre you also find many exhibits where you learn about the importance of wetlands, explore different habitats from tundra to tropics, and can watch several films that offer a great introduction to the park. It is time to start exploring the Nature Reserve, but first, a short stop (2) to visit Pui Pui, this is the park's local celebrity. 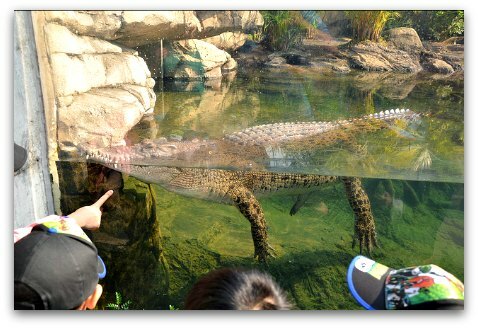 Pui Pui is a "she" salt-water crocodile that was found in 2003 at the Shan Pui River nearby and was brought later to the park where she now lives and enjoys meeting her visitors. Start following the boardwalks, they will take you over streams, over open water, among lily ponds and beautiful waterfalls. The (3) Stream Walk leads to the (4) Wetland Discovery Centre which serves as a lab and where free workshops are conducted. 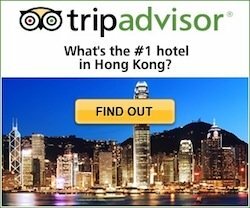 Workshops are mainly in Cantonese though and spots are first-come-first-serve. Past the Discovery Centre, (5) Succession Walk brings you to the first hide. 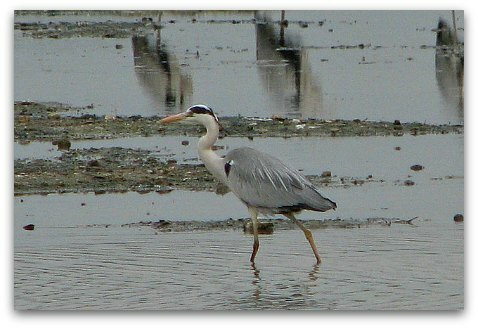 There are three main hides overlooking the areas where birdlife congregates: (6) Riverside Hide, (7) Fishpond Hide, (8) Mudflat Hide. 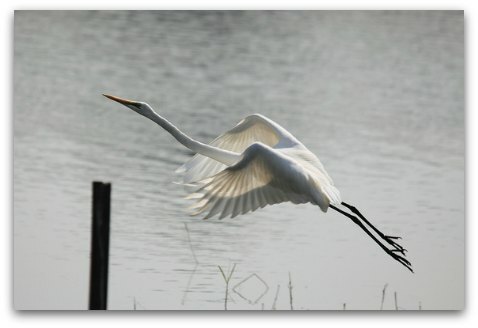 They are equipped with telescopes and bird viewing guides. 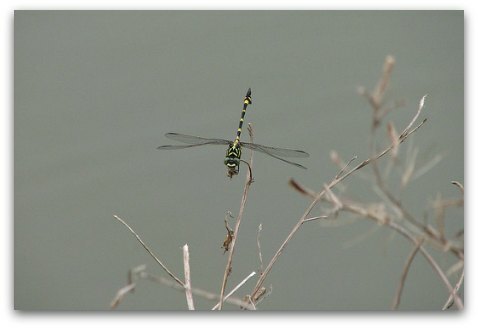 Here's more on the wildlife found in the wetlands. 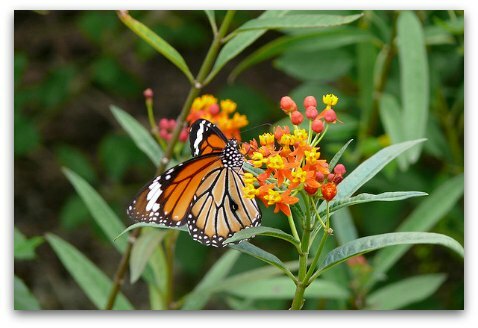 In spring and summer, (9) Butterfly Garden is at its best, lively insects abound and blossoming bushes and flowers galore adorn the park. 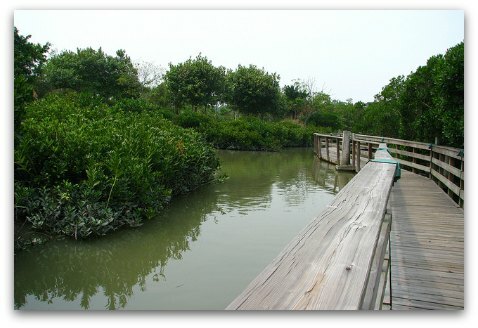 The (10)Mangrove Boardwalk is a floating boardwalk which takes you through this habitat and its inhabitants, don't miss the mudskippers and little crabs in the muddy banks. And finally, the (11) Wildside Walk with its seasonal pools and lovely dragonflies throughout the year. With BUS: Citybus 967 from Admiralty Bus Station (West) on Drake Street outside Lippo Centre. The journey takes also about an hour and is probably the easiest way as it requires no changes. 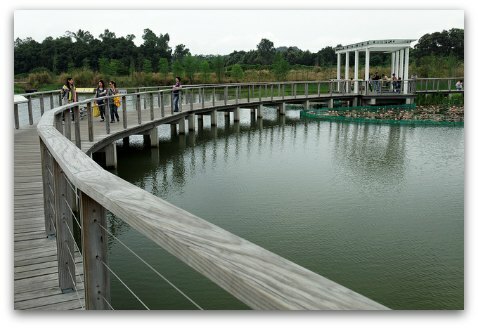 Buses leave every 20 minutes and stop at Wetland Park. Here's more info on Citybus 967 fares, times of operation, etc.